Sticking to a regular testing and treatment routine is vital to keep yourself and other hot tub users safe. It is recommended that you test and adjust disinfectant and pH levels daily. Add disinfectant after bathing to replace what has been usedShock does once weekly with a suitable product. As part of a hot tub installation, all reputable spa retailers will provide the necessary training required to properly maintain and care for your hot tub, including water care and hot tub operation. You should also receive a detailed water care guide and some retailers also provide a chemical starter pack. Initially looking after a hot tub can be daunting, but it will soon become second nature. Testing the water is a simple 15 second test. The results of the test will tell you what adjustments you need to make to the water. If in doubt, contact your spa retailer for more information. This the most important part of water care. It is important that there is a sanitiser in your water at all times with ensure your water stays clear from any bacteria or virus’. The most common sanitisers are either chlorine or bromine. Having the correct water balance is important for a number of reasons; firstly for personal comfort. If the water is too acid for instance it can be uncomfortable to bath in and irritate your nose and eyes. Secondly, if the water has a high pH level, then this can indicate a high mineral content and undesirable scale can form in the hot tub. Which is a issue in a hard water region. How often do I need to change the water in my hot tub? A typical family hot tub will need a water change every three months with regular use. 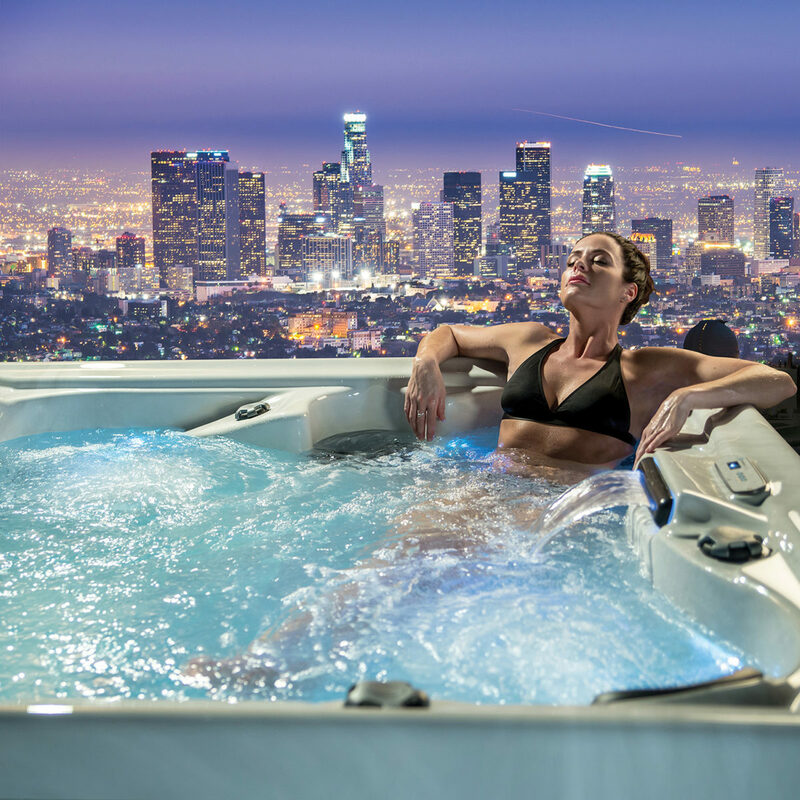 Changing the water is simple on most hot tub models, but many retailers will offer this service if you don’t feel comfortable doing it yourself. Filter maintenance is important to both your water and your hot tub components. Dirty filters will contaminate your water and blocked filters will cause the pumps to have to work harder. Your hot tub filter(s) should be rinsed out with a hose every two weeks, perhaps more often if the hot tub is used frequently. Then every three months the filters should be deep cleaner with a dedicated filter cleaner. This will remove any oils and greases which may have built up in the filter. Filters should be replaced every year. Tips provided by The Tub Company.